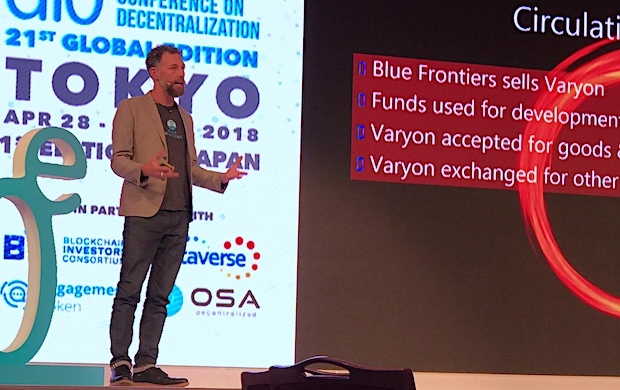 Randy Hencken, Co-founder of floating seasteading company Blue Frontiers, delivered his keynote speech. 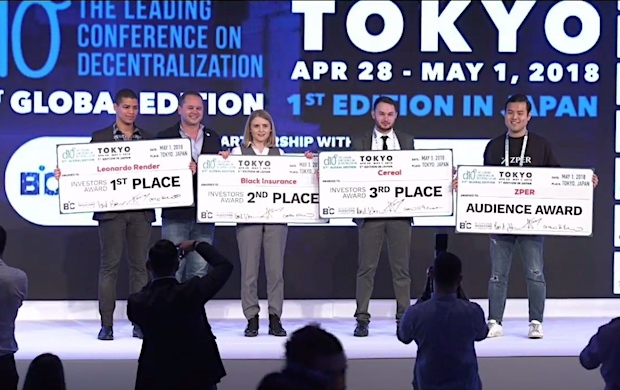 d10e — dubbed “The Leading Conference On Decentralization” — held the 21st Global Edition from April 28 to May 1, 2018. 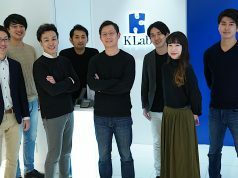 The venue, Hilton Tokyo Bay Hotel located near Tokyo Disneyland/DisneySea, gathered numerous participants who foresee far-reaching changes being brought on by adoption of blockchain technology, especially by localities and businesses. 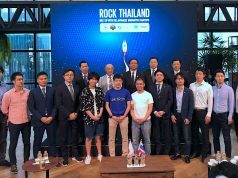 The first and second days were spent by Blockchain Investors Consortium (BIC), one of the main event sponsors, familiarizing d10e-goers with Tokyo. Keynote speeches were presented on the third day. 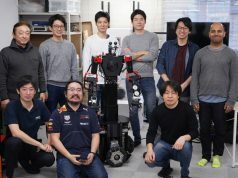 On the final day, 22 teams gathered to present their revolutionary wares during the 1st Edition in Japan Startup Pitch (MC: Ms. Naomi Brockwell). 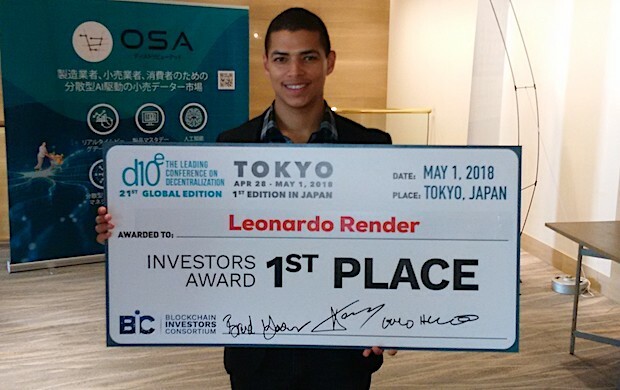 Leonardo Render Chief Strategy Officer Delon de Metz, the energetic (enough to jump off the stage and safely too) young man with the winning message at this year’s inaugural Japan pitch competition, got First Prize. The visual rendering services company headquartered on Madison Avenue in New York convinced all that their business is ready to roll. The runner-up was Ms. Liina Laas-Billson, Chief Business Development Officer for Black Insurance, the digital insurance company on blockchain. 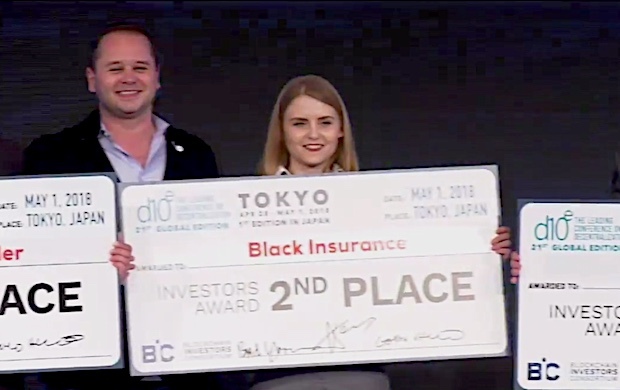 The demure pitch for the Estonian outfit gained Second Prize as it explained elegantly how its platform connects insurance brokers directly with capital, enabling them to launch their own virtual insurance agencies. 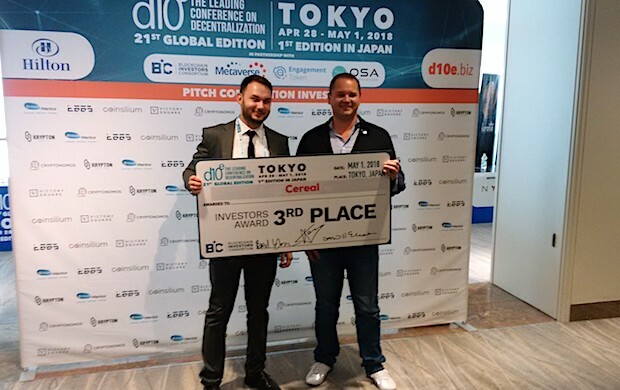 Third Prize was garnered by Cereal Finance Co-founder & CEO Sergey Vart, who heads the St. Petersburg-based provider of blockchain ecosystem for asset-based loans. 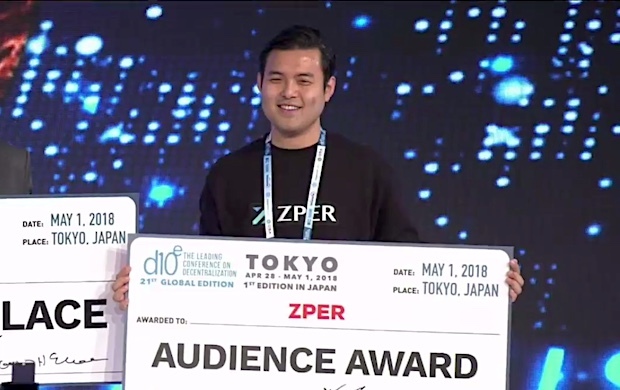 Finally, the Audience Award went to ZPER (according to Marketing Manager DK Yoon, pronounced ‘Zee-per’) of Singapore, offering a decentralized ecosystem for P2P finance.